Montreux boasts a picturesque spot, situated on the shore of Lake Geneva at the foot of the Alps. The town dates back to Roman times when it developed due to its positioning at a fork in the road that came from Italy across the Simplon Pass. Later, viticulture developed on the sunny south facing slopes on the north side of the Lake. Then In the nineteenth-century Montreux became a popular tourist resort with its grand hotels attracting the rich and cultured from Europe and America. Indeed, over the years it has been home to many famous souls including David Bowie, Noel Coward, Zelda Fitzgerald, Igor Stravinsky and Vladimir Nabokov. The best places to stay in Montreux provide perfect bases for exploring this sophisticated area, and most enjoy stunning views of both lake and mountains. Not much has changed really, the elegant hotels remain (and are still counted as some of the best places to stay in Montreux) and the town is still very fashionable. But it's perhaps as well known now for its recording studio - once owned by Queen and now a museum - as for its casino. Famously Deep Purple recorded their 1971 album ‘Machine Head’ here. They had intended to use the casino as their studio, and the iconic track ‘Smoke on the water’ immortalises that particular venue being burnt to the ground. Out and about, you can stroll the Riviera Promenade along Lake Geneva to Vevey, jump on the MOB narrow gauge railway up into the mountains or take a cruise on one of the Belle Epoque steamers that grace the lake. Montreux hosts its ever popular annual world-renowned jazz festival in July, so if you're planning a visit then, book well ahead. 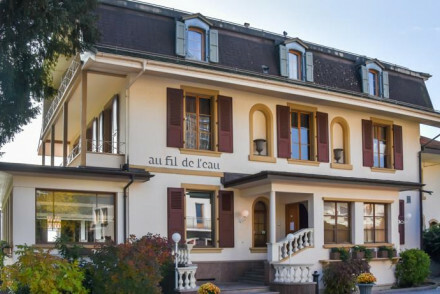 The best places to stay in Montreux will be heaving! Go for a long walk along the Lakeside Promenade Fleuri and enjoy the wonderful array of flowers on display. The Queen Studio Experience is an absolute must for music-lovers! Take the Golden Pass Line to experience the full beauty of the area. Hop on the cog train up to the 2,042-metre tall Rochers-de-Naye to bask in the wonderful views. 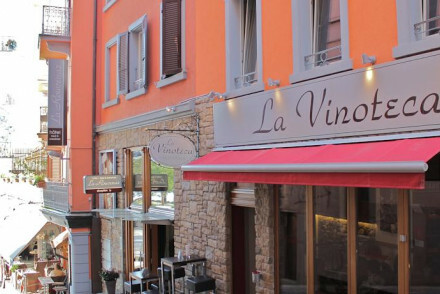 La Rouvenaz Hotel and Restaurant enjoys a good location by Lake Geneva. It is simple but smart with modern spacious rooms - some with balconies overlooking the lake. The restaurant serves fantastic Italian cuisine, and you can stay from as little as €140 per night B&B. Lakeside Grand Hotel Suisse Majestic features stunning interiors, ultra-smart bedrooms and a top-notch glass-fronted restaurant. Wonderful. The Tralala Hotel is located in the heart of the old town and offers sleek contemporary accommodation that won't break the bank, in an historic 17th-century building. The property evokes the spirit of the annual Jazz festival with rooms themed around the likes of Alicia Keys, Santana and Deep Purple! Au Fil de L'Eau is a charming restaurant with rooms, with chic, individually-styled accommodation and a scrummy menu that's bound to please. A great spot. 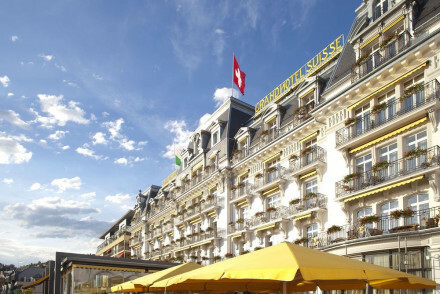 Grand Hotel du Lac is, as the name suggests, a grand spot with elegant rooms oozing traditional style. Tuck into gourmet Michelin-starred cuisine and lounge by the pool - dreamy! Hotel des Trois Couronnes is a similarly smart spot that's ideal for the high-end traveller. The luxurious spot boasts stunning views and excellent service - everything you'd expect from a first-rate Swiss stay. Le Mirador excellently combines classical and contemporary décor with views to die for. Enjoy seasonal local cuisine and shows at the piano bar each evening. Fly into Geneva Airport before taking the train across to Montreux (the journey should take just under an hour). Weather-wise, you're best off visiting in the summer months - with the average temperature climbing to 21°C in July. This, however, is peak tourist season, so for a quieter and cheaper alternative consider coming in the shoulder season months (May and October). If you'd like to see more of the area then consider hiring a car with Rentalcars. Check out our recommendations down the road in Vevey. Expand your search to include all of the Lake Geneva area. Or feel free to contact a friendly guru for advice. 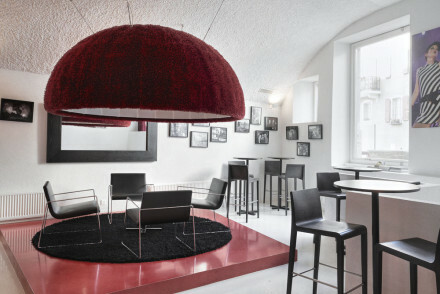 A modern, stylish hotel right in the heart of Montreux's historic old town. The sleek rooms are decorated to a music theme, each celebrating an artist who has contributed to Montreux's musical reputation. An fitting place to stay if visiting the city for one of its many music festivals. Business meetings - With excellent business facilities and a city centre location, it's an ideal spot for business or conference meetings. Local exploring - A perfect destination for those hoping to explore the rich musical history and culture of Montreux. Great walks - Make the most of your morning and head off for a walk along the beautiful 10km Montreux Promenade. Sights nearby - Keen historians must visit the nearby thousand year-old Chillon Castle. With a fabulous location on Lake Geneva, La Rouvenaz is a classy establishment. Its rooms are modern and spacious with some boasting fantastic views of the lake from adjoining balconies. Perfect for exploring the local area. A must for jazz lovers in July. Great walks - Take a walk along the 10km Montreux Promenade and enjoy its fantastic views of Lake Geneva. Sights nearby - Marvel at the 1000 year-old Chillon Castle less than two miles away. A delightful little restaurant hotel where the menu is taken as seriously as the hospitality. The individually decorated rooms feature private balconies (some with lake views) and large bathrooms. Perfectly place for exploring Lake Geneva and Montreux, it is an ideal spot for a gastronomic getaway. Foodies - The restaurant attracts diners from far and wide with its gastronomic and seasonal menu. Local exploring - Two minutes walk from the beach yet within easy reach of Montreux's attractions. Sights nearby - The nearby Chillon Castle is well worth a visit for anyone with an interest in history. Great walks - Perambulate Montreux's scenic Promenade and soak up the sights and sounds of the city. A striking lakeside property complete with stunning interiors. The smart bedrooms boast light hues, parquet flooring and pretty balconies. A glass-fronted restaurant comes with standardly impressive views alongside exemplary modern regional cuisine. Well positioned next to the station. Very chic. Total relaxation - An elegant hotel complete with spa and epic mountain views, perfect for a chilled out Swiss retreat. Sailing - Take a steamboat cruise across Lake Geneva, a great way to see the sights. Sights nearby - Visit the striking medieval island castle of Château de Chillon.